By Dean Stroud. 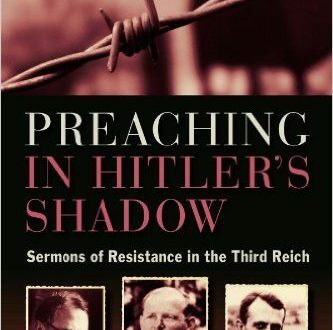 Gives a sense of the danger that pastors when they spoke from the pulpit, particularly the role that language played in the battle over the German soul, pointing out the use of Christian language in opposition to Nazi rhetoric using thirteen well-translated sermons by various select preachers, including Dietrich Bonhoeffer, Karl Barth, Rudolf Bultmann, and others. Read more.